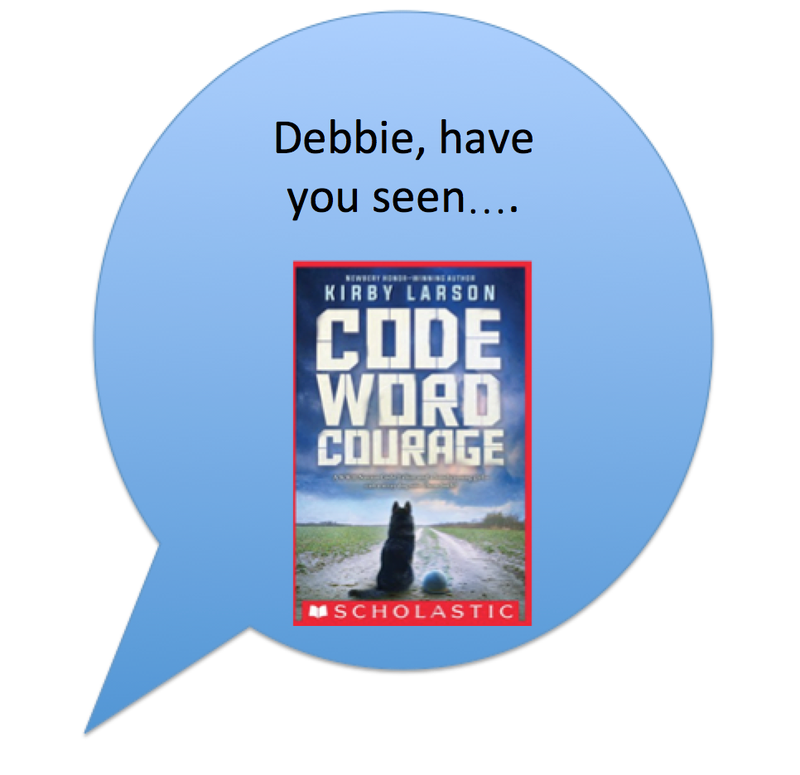 Debbie--have you seen CODE WORD COURAGE by Kirby Larson? Kirby Larson is not Native. One of the characters in her book, Denny, is Navajo. With Code Word Courage she's creating words and thoughts of someone who is very different from who she is. Denny isn't a minor character. Code Word Courage is one of those books where the story is told in alternating chapters. Chapter one, for example, is Billie, and chapter two is Denny, then back to Billie for chapter three, and Denny for chapter four. Significant research has to be done in order for Denny's character to be an accurate depiction of a Navajo person of that time period. From what I can see via the preview at Google books, I'm having doubts about it. In chapter thirteen, Denny is with eighteen Navajo radiomen. They're all Marines, and they've got to prove to General Vandergrift that their code is useful. "Can we provide it?" a sergeant asks. They reply, "Sir, yes, sir." Denny wonders if any of them feel like they're back in their boarding school. "He'd been a kid when he'd been taken from his mother and put with people who could see only skin color, nothing more." Skin color is not why Native children were taken from their homes and put in boarding schools. They were taken there as a way to destroy their identity as Native people of specific Native nations. The schools were designed to 'kill the Indian and save the man.' Skin color is not why kids ended up there. The government goal was to destroy Native identity and thereby, Native Nations. "In Navajo, we call that star Northern Fire." That doesn't quite make sense. As written, it suggests he is going to tell Tito the Navajo word for that star. Instead, he tells him the English translation of the Navajo word(s) for that star. There are 34 chapters in Code Word Courage. Most of them alternate from Billie to Denny. If I get a copy of the book, I'll be back with a more complete review. What’s it supposed to mean, to be American these days? White supremacists are loud & proud at the highest level of government. Oligarchs quietly funnel fortunes into campaigns against the public interest. The chief executive and his minions gleefully disrespect entire populations of (usually brown) human beings. A shameful number of people don’t even know that Puerto Rico is part of the US … Being an American can feel, well, ugly. Since the US was founded, Native people and people of color have dealt with definitions of Americanness that excluded and marginalize them and in the case of Native peoples, strip them of sovereignty, autonomy, and culture. The book communicates on several levels: full-page illustrations, smaller spotlight illustrations, text, and several pages in the back explaining the illustrations. The first double-page spread begins, “Americans love.” The text goes on, “We love our ideals of human dignity and freedom…” then mentions families, neighbors, friends, and the beauty of the land. Several pages later is, “One thing Americans do really well is disagree.” Images there refer to the Boston Tea Party, public protests for women’s suffrage, civil rights, the labor movement, peace movements, and LGBTQ rights. One child-figure carries a Black Lives Matter placard. So where are the Indigenous people in Americans? · On the “Americans love” pages about beauty of the land: spot illustration labeled “Totem Pole (Tlingit) of the Pacific Northwest.” Explanatory text in the back basically says what totem poles are. I’m not in a position to judge the accuracy of that text, but I know there’s more to Tlingit totem poles than that. So I wish the author and illustrator had included their sources. · On the “Americans believe” pages about the First Amendment, and freedom to worship: spot illustration of “Pueblo Eagle Dance”. The author doesn’t specify which Pueblo, and that’s a problem, especially since in the back pages, it’s called “Native American Eagle Dance” – far too general. Debbie sees some other important shortcomings that we can go into at another time. The explanation emphasizes that the US government outlawed Native religious practices until 1978 (with follow-up legislation in 1993), which is important stuff for kids to know: the US ideal of religious freedom has always been selective. And that’s it for the intentional representations of Indigenous people. So, where AREN’T Native people in Americans? · “Sometimes Americans fight” depicts the settler revolution against Britain, the Tuskegee airmen, and some WWII scenes. Not surprisingly, it doesn’t acknowledge the longest fight of all -- settler-colonial warfare against Indigenous people that eventually involved Native nations from sea to sea. · “But Americans also make peace.” It’s just as well that those pages don’t depict the US military signing treaties with Indigenous nations – treaties that the government broke as soon as settlers wanted the land and other resources. · The “Americans disagree” page doesn’t refer to any influential protests specific to justice for Native people, like the occupation of Alcatraz or Standing Rock. But it does include the Boston Tea Party, during which colonizer men dressed in facsimiles of traditional Native clothing while protesting taxes. · “Americans choose” shows a wagon train on the Oregon Trail, in the heart of Native lands, the heart of their existence -- but we don’t see any Native people on these two pages. And the back-matter explanation doesn’t mention Native homelands, or the fact that Native nations, in order to survive, resisted the settler-colonizer invasion. Was that “a choice”? Maybe so, but not much like the “choices” depicted in spot illustrations (a “Vote” button, a young woman in a graduation cap). · The “Americans make mistakes” pages show the Dust Bowl, a child in a Japanese internment camp, Lincoln signing the Emancipation Proclamation, and children wearing protective gloves while cleaning a polluted river. There’s no acknowledgement that systemic greed, bigotry, racism, classism, sexism, and short-sightedness are foundational problems, deeply rooted in “American” society. They have spawned terrible “mistakes” like water pollution and slavery -- not to mention genocide against Indigenous people. And indeed, Americans doesn’t mention it. Americans doesn’t entirely erase Native people, but it relegates them to spots on the historical landscape, footnotes in a narrative that embraces an ideal of “acceptable differences.” It barely hints at the complex and painful relationship between the US and Indigenous nations/peoples, and turns away from the challenge of acknowledging that larger story. Americans as a social studies offering nods in the direction of a few serious issues, but it seems to me to fall short of opening readers' eyes to ugly but real aspects of Americanness -- like racism, bigotry, genocide, greed for resources, exceptionalism that rationalizes bad behavior -- that kids will have to see if they are to fully grasp what it means to be “an American” now.